Downloading Android Apps and Games on an Android Smartphone or Tablet is very simple and easy, all you have to do is just use your Google Account to log in to Google Playstore and then download your favourite Applications and Games. But If you've tried to download an Android App or Game on PC then you'll know for sure that the process is entirely different (who knows maybe you didn't even get to download the App). You can't just download Apps & Games anyhow you like via PC just because of the restriction placed on Playstore by Google (striving to give Playstore a moderate level of security and safety). Why do I have to download Android Apps on PC, instead of using my Smartphone ? You might be thinking that - "why do I have to download Android Apps and Games on my PC when I have a Smartphone / Tablet with me ?" Well, there are so many reasons for that. - At times, you might be trying to download a large App or Game for your Android device which will definitely take time, downloading such App or Game on your PC will save you time because it'll be faster. - For anyone who wants to download free Apps & Games which are not available in their region or for the devices that they have registered with their Google account, this simple trick will be so useful for them as it eliminates the frustration of searching the web for those Apps. - Also, if your PC is connected to the internet and your Android device is not, with this method, you'll be able to download the Application on your PC then transfer it to your Android device. 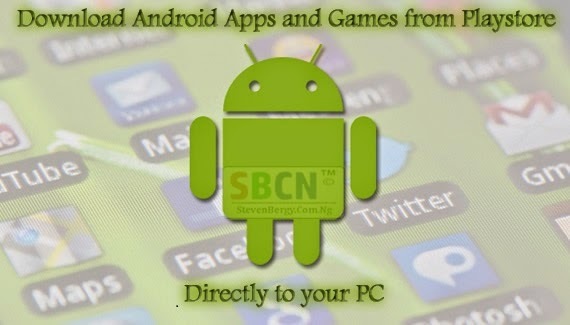 Just think of so many other circumstances, you'll see that downloading Android Apps and Games on PC is very useful. 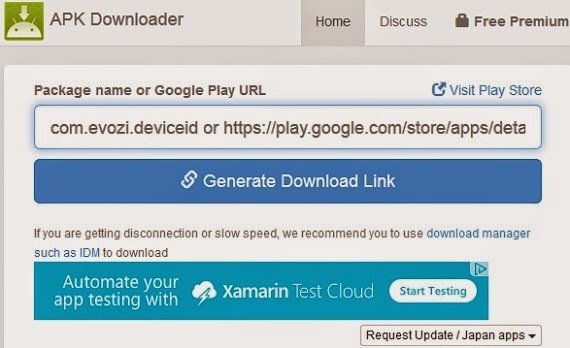 To make downloading of Android Apps on PC possible, we'll be making use of a very useful web-based service - APK Downloader : is a simple and easy-to-use tool that enables downloading of Android Apps and Games from Google Playstore directly to your PC with just few steps. Now that you've seen how useful and helpful this could be, let's move on and start the real deal. NOTE: APK Downloader lets you download any kind of App from any Play Store region, AS FAR AS THE APP IS FREE. PAID Apps cannot be downloaded !!! Furthermore, this tutorial is very simple and easy to execute, just follow the procedures below. 1. Open Google Playstore on your browser through this link - play.google.com. 2. Navigate to the Application or Game you want to download. Let's assume we're downloading BlackBerry Messenger (BBM) in this post. 3. Once you've seen the App or Game, right-click on it and click on "Copy link location". 4. Now, open the APK downloader web page in a new tab by clicking here - APK downloader. 5. 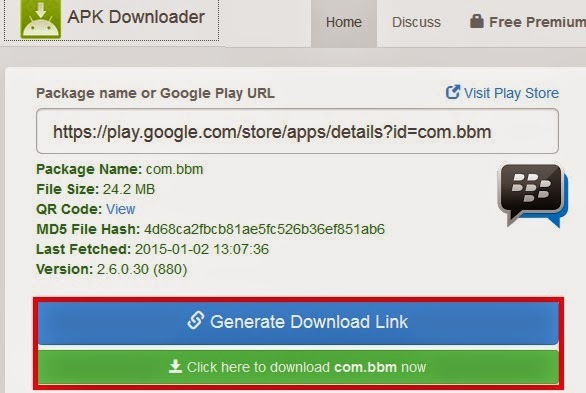 Paste the link you copied (in step 3) into the search bar on the APK downloader page and click Generate download link. 6. Within few seconds, the APK download link of the App will show up and finally, click on the link below the "Generate download link" to download the Android App on your PC. 7. A dialogue box will pop up asking you where and how to save the App, just save the App and wait for it to finish downloading. 8. Now, after downloading the App, you can move or transfer it to your Android device and install. Done ! Yes, those apps and games with big file size have their data downloaded separately. That's why the site in this post only download the .apk of such apps and games.